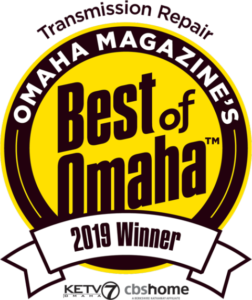 For over 50 years, people have relied on AAMCO Transmissions and Total Car Care of Omaha (South) to provide experienced auto and transmission repairs in Omaha, Nebraska. Independently-owned and -operated but proud to be part of the nationwide AAMCO family, our service technicians are well-trusted transmission rebuild and repair specialists. Thanks to our advanced diagnostic capabilities, we offer a thorough multi-point transmission scan to check your transmission fluid levels and any noted drivability issues, as well as your transmission’s peripheral connections and external components. At AAMCO, we believe in providing comprehensive service for every customer. Whether you’re a local or just someone passing through our area, we’ll never try to upsell you on anything you don’t need. We pride ourselves upon providing exceptional customer service and honest, upfront pricing. Many of our customers only need minor transmission work, but we do stock the highest quality components backed by some of the nation’s best warranties should you require a complete transmission rebuild. Transmission Experts – We’re nationally recognized as transmission, brake, and auto repair experts for all makes and models of foreign and domestic vehicles. Free Towing – For your convenience, we offer free towing with any major transmission or auto repair in our shop. Nationwide Warranties – Our auto repairs in Omaha are backed by some of the industry’s best nationwide warranties. Advanced Diagnostics – We utilize the latest computer and electronic diagnostic equipment to run accurate checks on your transmission and engine. Fleet Service Contracts – We help local businesses keep their fleets running safely and efficiently at a competitive cost. Our local fleet program is comparable to our national fleets. Scheduled Maintenance – We’re capable of providing all factory-recommended maintenance and auto repairs, so you no longer have to visit your car dealership’s repair shop. Has your check engine light recently come on or is your vehicle making strange noises? We’d be happy to take a look at it for you with a free multi-point transmission scan to help put your mind at ease. Transmission repairs rarely come at a convenient time, but you can take some of the stress out of them when you visit our friendly, reputable auto repair shop in Omaha. We offer special discounts, an AAMCO Rewards Club program, and financing (upon credit approval) to help make auto and transmission repairs more affordable. 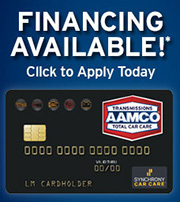 Contact us today to schedule an appointment and experience the AAMCO difference! Even on a busy day, they found time to help the little guy. Rockstar staff, great customer service, more than fair pricing. We all wish we didn't have to fix our cars, but next time I need it, I know where I'm going. Jay is amazing! He went above and beyond to get a new engine in my car! He is proof that there are still good people in this world who are willing to help and really care about their customers! HIGHLY RECOMMEND!!! Gave me a great deal on Uber/left car inspections! It's not often someone can tell you repairs will be $5000 and you feel good about the experience...but it happened to me. I took my Escalade to AAMCO on 60th & L because the Google Reviews glowed about the service. Those reviews didn't do it justice. Jay was friendly, humble, thorough, and informative. My over 200,000 mile SUV needed a new transmission, radiator leaks repaired, and oil pan. Later, I learned that it also needed steering repairs. Jay was proactive in communications with me, giving me multiple options and prices along the way. To ease the pain of such a large repair, he included some of the lesser fixes free of charge. It's difficult to measure the value of feeling secure that your vehicle is in the hands of a team that cares. I highly recommend choosing this shop when you need repairs done right and second to none service! Very helpful and knowledgeable staff, Jay will take good care of you. These guys can do just about anything you need, and you can trust they will do it right. Jay was very helpful & efficient. Teresa in the office was very nice. Fast and super friendly service. It was easy to get in and get what I needed done, done. I’ll be coming back for sure! Jay was very helpful and has great customer service. On time as well ! © 2019 AAMCO Omaha South. All Rights Reserved.